CLOSEOUTS. 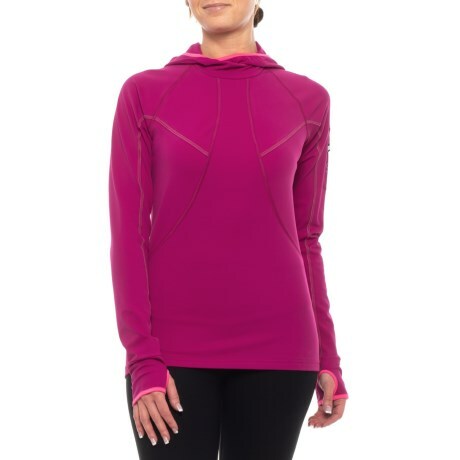 Gore Running Wearand#39;s Air hooded shirt adds extra warmth for chilly morning runs without sacrificing breathability. Available Colors: ICE BLUE/WATERFALL, THAI PINK/HOT PINK, BLACK/HOT PINK. Sizes: 40, 36, 38.